Some movies are about one performance and nothing else seems to matter. There doesn’t have to be a great story, a strong narrative or even a lot for a character to do. In rare cases, one performance can captivate an audience enough that the shallow nature of a movie is forgotten or overlooked. The Elephant Man is such a film. John Hurt is incredible as the titular character, John Merrick being his real name. It is a strong performance because it requires so much from the actor. For starters, his face is almost completely covered. This is a performance behind prosthetic, which in itself is a feat, but a prosthetic which shows no emotion or allows any sort facial expression. Hurt has a difficult task for any audience to relate to Merrick but you do and that is the strength of the movie. Like the real-life “freak show” that Merrick was rescued from, this is a movie about a man who scares but intrigues people in equal measure. 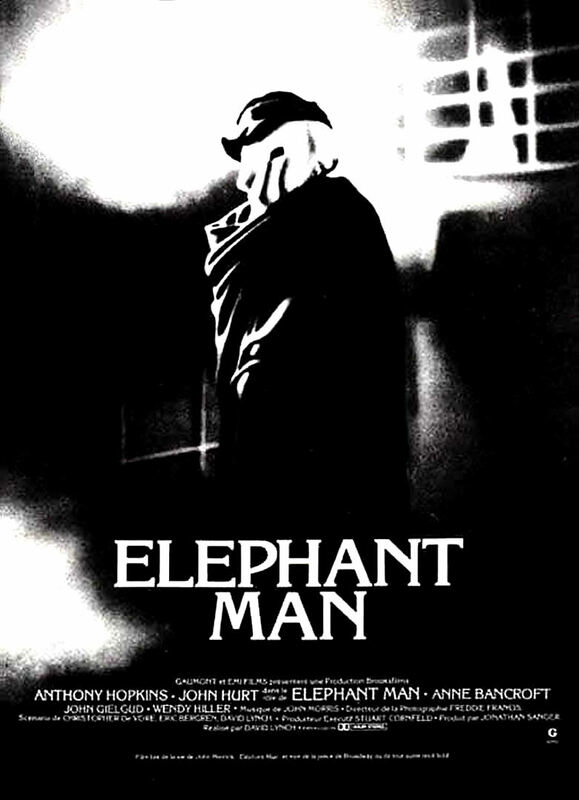 Research means that Merrick’s appearance in the movie has been faithfully replicated and as you watch you await the great reveal of The Elephant Man, teased by director David Lynch perfectly. From the point that Merrick is revealed and the character’s full appearance is shown, you can’t help but me mesmerised, both by this real-life figure and by Hurt’s performance which is never less than incredible. It is also after Merrick is revealed completely that the film’s cracks begin to show. There isn’t much of a story to The Elephant Man. John Merrick is rescued by Anthony Hopkins Frederick Treves, here giving one of his less strenuous performances, and then from there it is a series of peaks and troughs for the character, moments when he feels accepted and then moments when he is treated as a “side-show.” It goes from positive to negative, to positive and back again, flipping one scene to the next. You can see clearly what point Lynch is trying to make, highlighting the awful way Merrick was treated, particularly in the scene where Hurt bellows “I am a man” but this is undercut slightly when you realise that John Merrick didn’t actually got through anywhere near the ridicule and hardship that his movie counterpart does. In the case of this movie, the fiction is more interesting than the fact. Overall, The Elephant Man is a strange movie in that it holds a great central performance which will keep audiences captivated but a flimsy plot built on a fabrication of the truth. You will watch bullying, rescue, bullying and then rescue but will gladly sit through it because John Hurt is so great.